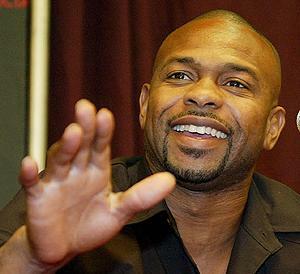 Roy Jones Jr. will fight Tito Trinidad!!! Ok the stage is now set and the contracts are signed. 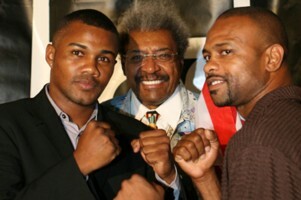 Roy Jones Jr. and Tito Trinidad will step in the ring and face off on January 19th 2008 at Madison Square Garden. This should be a huge draw despite the fact that Trinidad has not fought since 2005 and Jones stock has plummeted due to the 2 consecutive knock-outs to Antonio Tarver and Glenn Johnson. Jones then lost a 12 round match against tarver again. Roy’s last fight was to a nobody named Tony Hanshaw whom he went the distance with. This fight will feature speed vs power. Trinidad gained a reputation for being a knock-out puncher. They will fight at the 170 pound weight. Can Roy redeem himself and work his way back into the sea of relevance to boxing fans??? Watch the hype of the fight between Roy and Trinidad!! !